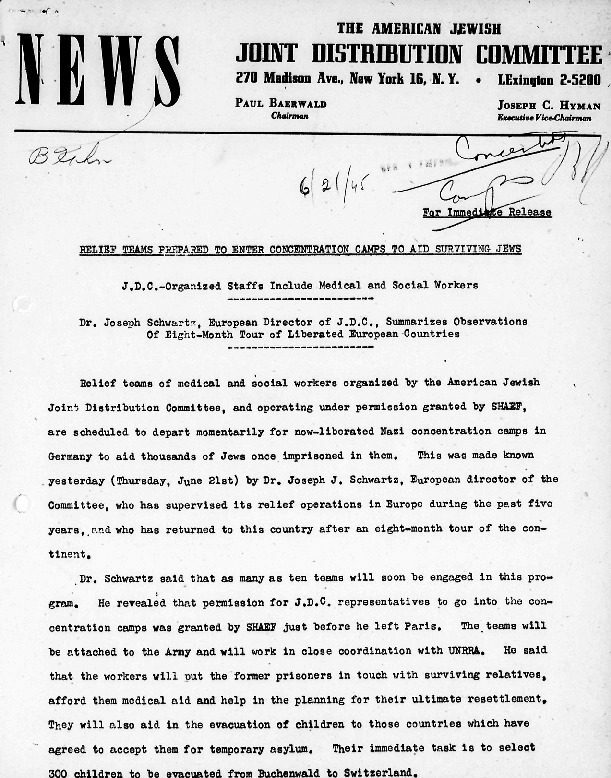 As World War II drew to a close, JDC marshalled its forces to meet a crisis of staggering proportions, racing to ensure that tens of thousands of newly liberated Jews would survive to enjoy the fruits of freedom. 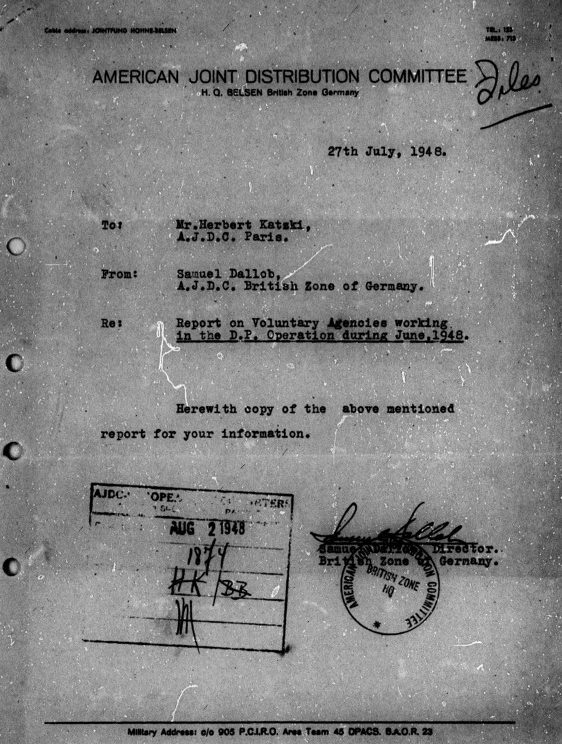 By late 1945, some 75,000 Jewish survivors of the Nazi horrors had crowded into the displaced-persons (DP) camps that were hastily set up in Germany, Austria, and Italy. Conditions were abominable, with many subjected to anti-Semitism and hostile treatment. 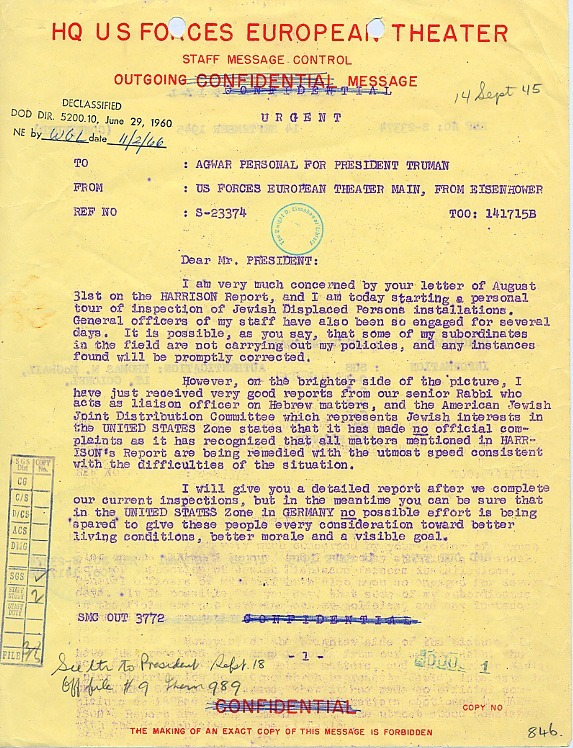 Earl Harrison, Dean of the University of Pennsylvania Law School and President Truman’s Special Envoy, asked Joseph Schwartz, JDC’s European director, to accompany him on his official tour of the camps. 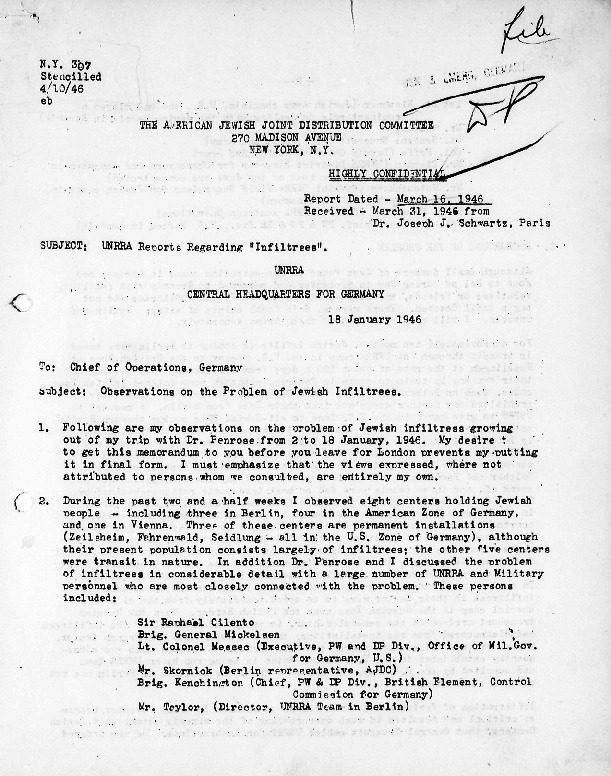 His landmark report (the Harrison Report) called for separate Jewish camps and for UNRRA’s (United Nations Relief and Rehabilitation Administration) participation in administering them – with JDC’s help. 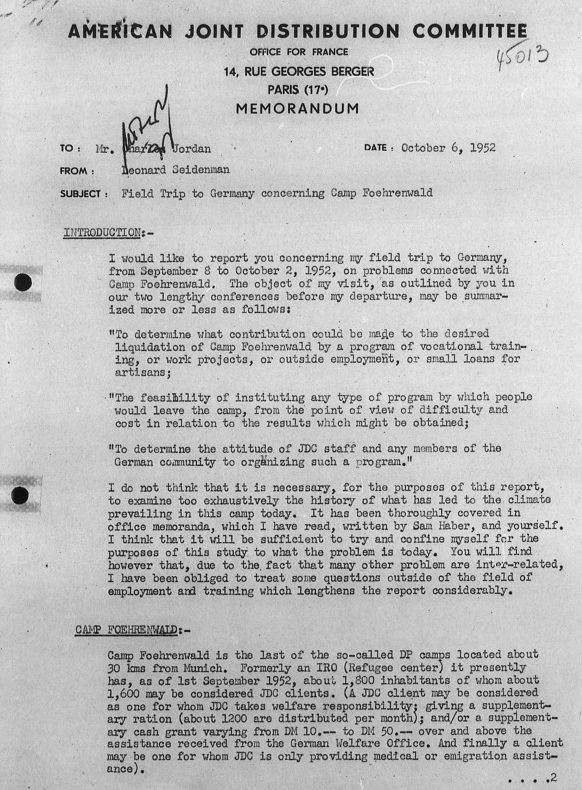 To provide that help, Schwartz virtually recreated JDC, putting together a field organization that covered Europe and later North Africa and designing an operational strategy that valued action and initiative. Supplementing the relief provided by the U.S. Army, UNRRA, and the International Refugee Organization (UNRRA’s successor agency), JDC distributed supplies that nourished both body and soul: food, medicine, clothing, tools, equipment, and educational, cultural, and religious materials including books, Torah scrolls, ritual articles, and holiday provisions. JDC funds supported medical facilities, schools, synagogues, and cultural activities, in addition to providing for vocational training programs, legal representation, and emigration assistance to survivors in the DP camps. JDC personnel helped organize communal life in many camps and represented the DPs before the military and other authorities. Over the next two years, the number of Jews in the DP camps more than tripled, with a new influx of refugees from Romania, Hungary, and Poland who had been helped to reach Western occupation zones. 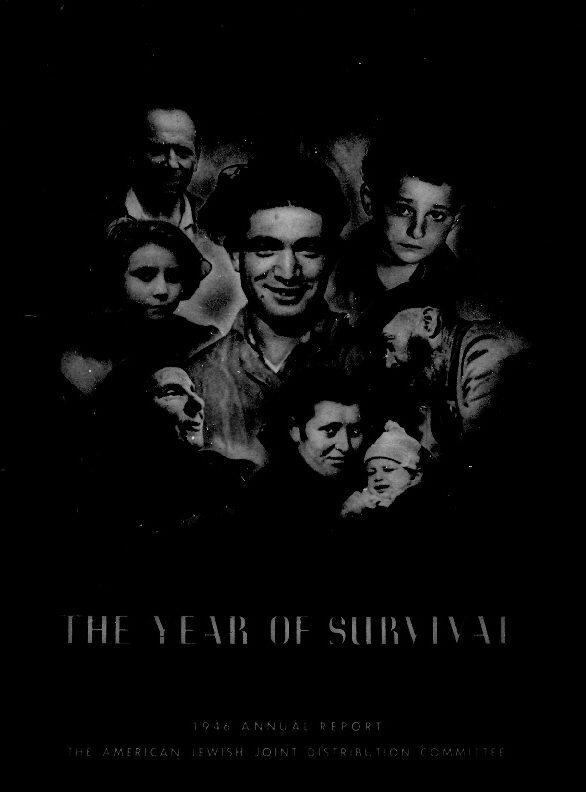 They included many Polish Jews who had returned from their wartime refuge in the Soviet Union, only to flee once again (westward, this time, through Czechoslovakia) in the face of renewed anti-Semitism and the July 1946 Kielce pogrom. 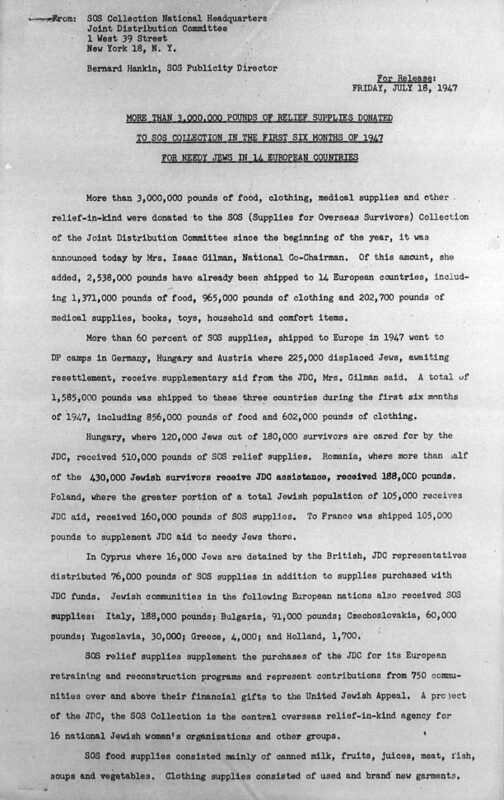 It is estimated that by 1947, about 250,000 Jewish refugees passed through the DP camps and received assistance from JDC. 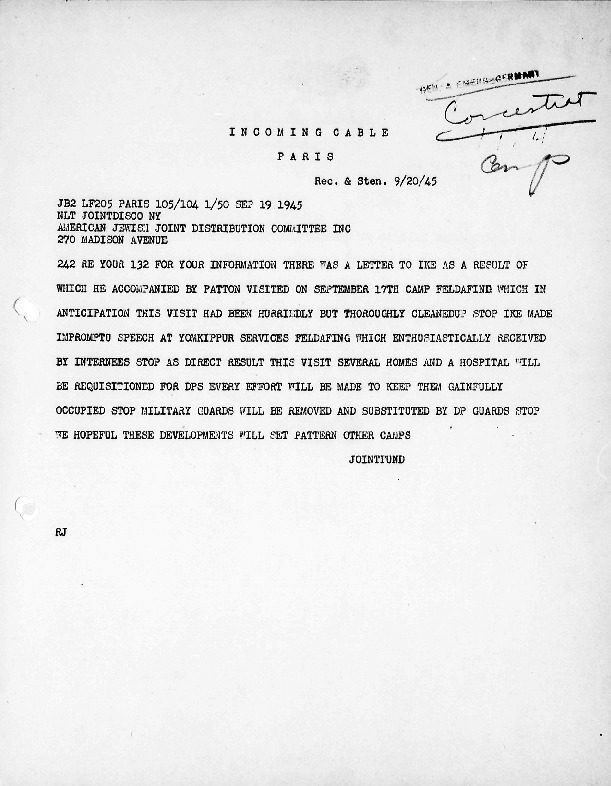 After the State of Israel was established in 1948 and the United States passed the Displaced Persons Act, DP camps were closed and the number of Jews served by JDC dropped precipitously. 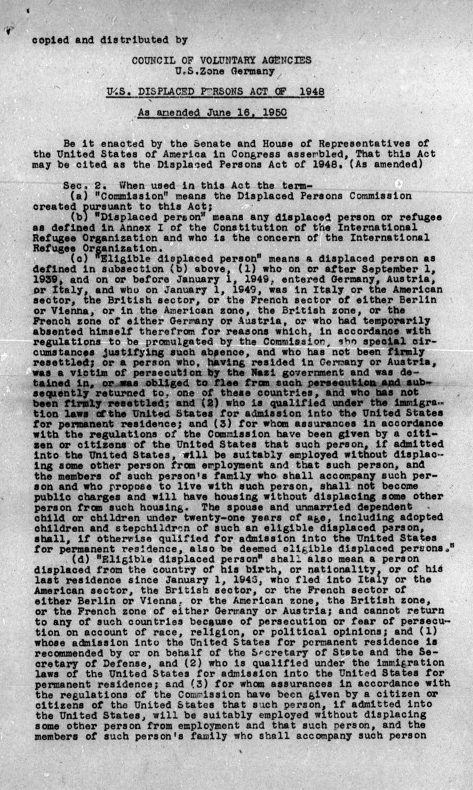 Nevertheless, in 1952, JDC was still assisting some 15,500 DPs who were having difficulty finding permanent places of resettlement. Foehrenwald, the third largest Jewish DP camp in the U.S. Zone, was the last camp to close in 1957. 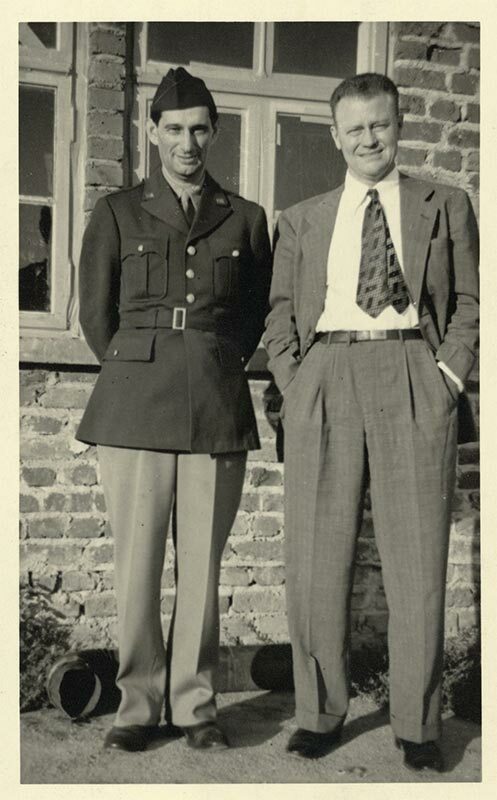 Dr. Joseph Schwartz (left) and Earl Harrison (right), who was appointed by President Truman to survey conditions among displaced persons in Germany and Austria. A Day of Deliverance (excerpts), 1949. Produced by JDC. 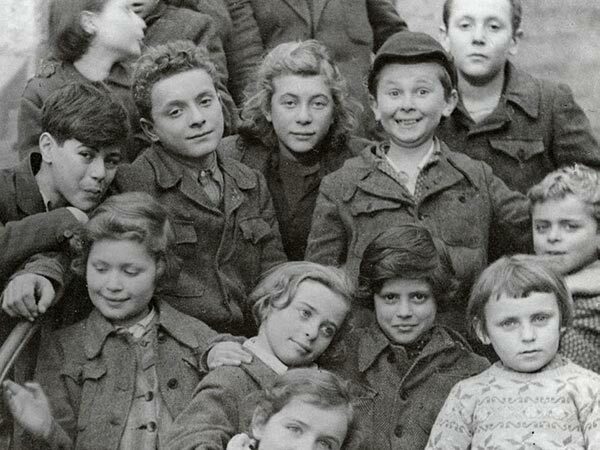 JDC staff and programs serving Holocaust survivors in DP camps in Germany and Austria, beginning in 1945. 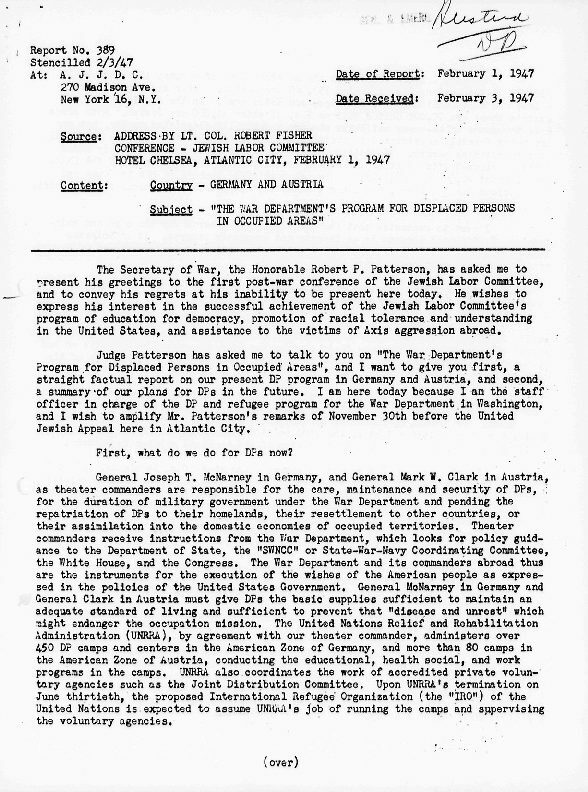 Report on the Living (excerpts), 1947. Produced by JDC. Jews fleeing Poland following Kielce pogrom in 1946 on their arduous journey through Czechoslovakia to the DP camps of Germany and Austria. Produced by JDC. Survivors on their way to the newly established State of Israel after years of circumscribed living in the Bergen-Belsen DP camp. Report of Earl G. Harrison. 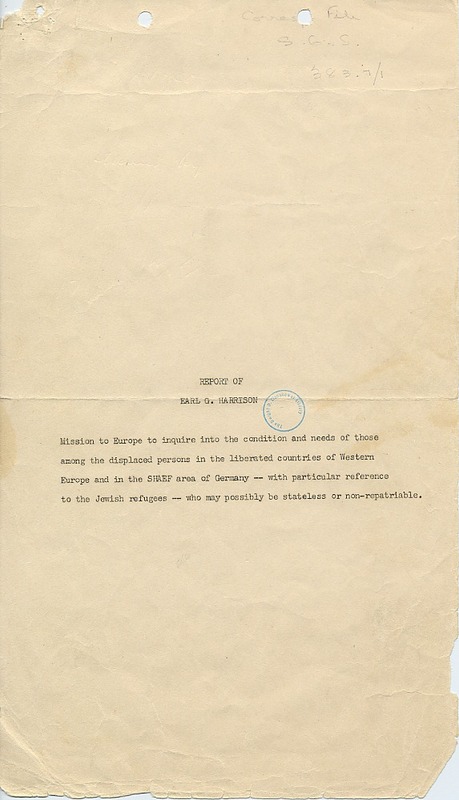 Mission to Europe to inquire into the condition and needs of those among the displaced persons in the liberated countries of Western Europe and in the SHAEF area of Germany – with particular reference to the Jewish refugees – who may be stateless or non-repatriable, c. August 1945. Herbert Katzki: Secretary of JDC’s European Executive Council (EUREXCO) – the title was subsequently changed to Assistant Director General for Overseas Operations. 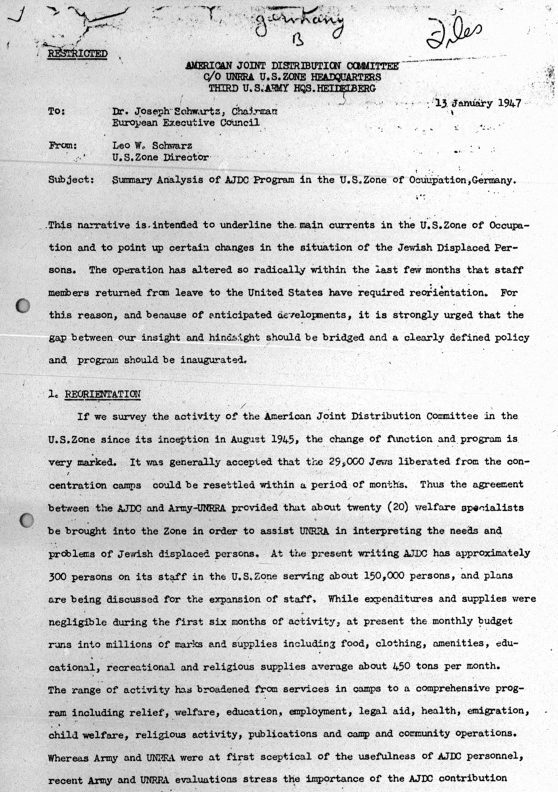 Leonard Seidenman: AJDC, Office for France. 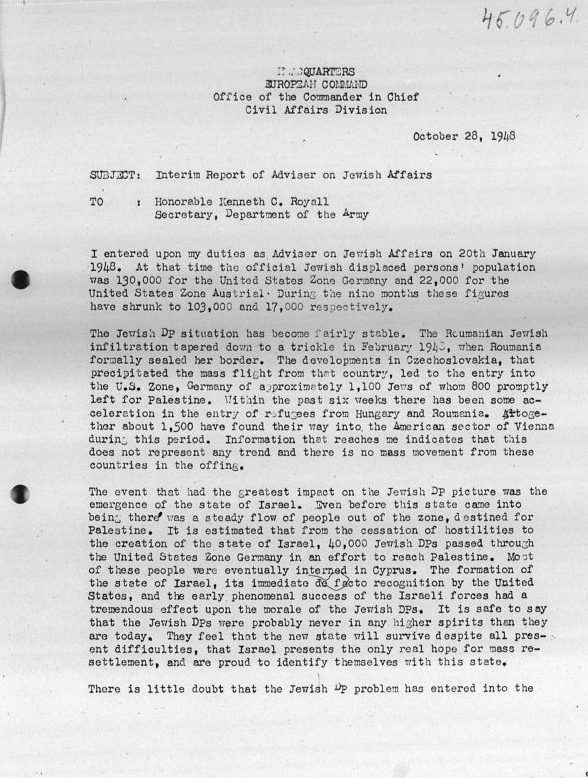 Director of Reconstruction Activities (1947-1953); Director of Rabbinical Services (1948-1953). 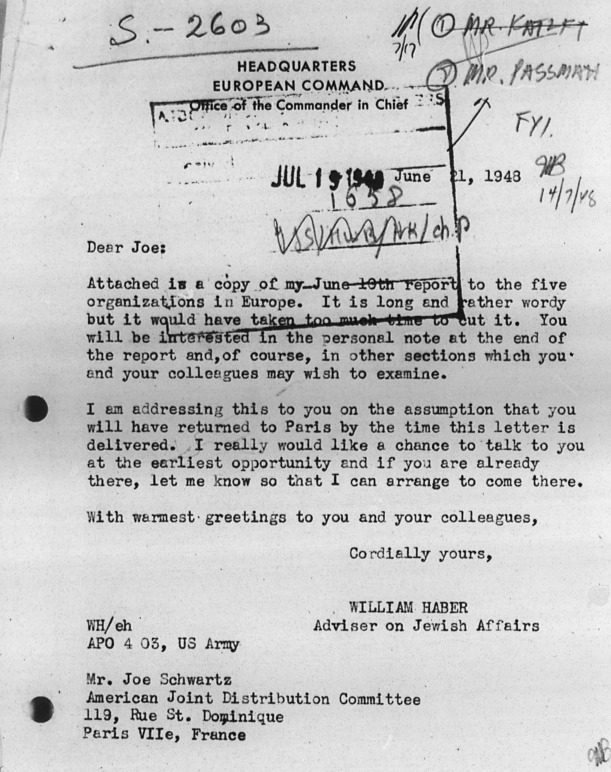 William Haber: Adviser on Jewish Affairs to the American Commanders in Germany and Austria, U.S. Army. Jay B Krane: Chief, Reports and Analysis Branch, United Nations Relief and Rehabilitation Administration (UNRRA) Displaced Persons Program in Europe.